I've hunted before in video games. Hunting is a key part of various Far Cry titles, multiple Assassin's Creed games, and the most recent Tomb Raider games. Most games have hunting as one part of the crafting system: you hunt so you can make food or equipment. Monster Hunter: World is focused primarily around hunting giant mythical creatures so you can turn them into cool armor. I admit, this is a little overkill. Like those games, Red Dead Redemption 2 has an extensive hunting and crafting system. Rockstar says the game has over 200 animal species represented, and you can track and kill most of them. You follow animal tracks, mask your own scent, and use weapons like the bow and arrow to prevent from damaging valuable pelts and skins. Once your target is down, you have to prepare all the various parts for storage, crafting, and selling. It's here that Red Dead Redemption 2 leans further into realism than most games-even the first Redemption, which kept skinning as something that happened off-screen. 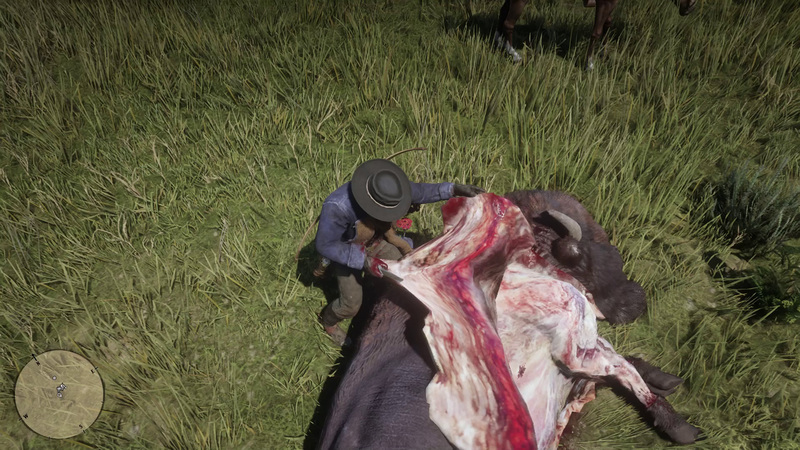 When you reach down to skin an animal, you see protagonist Arthur Morgan pull out his knife and actually skin the carcass. 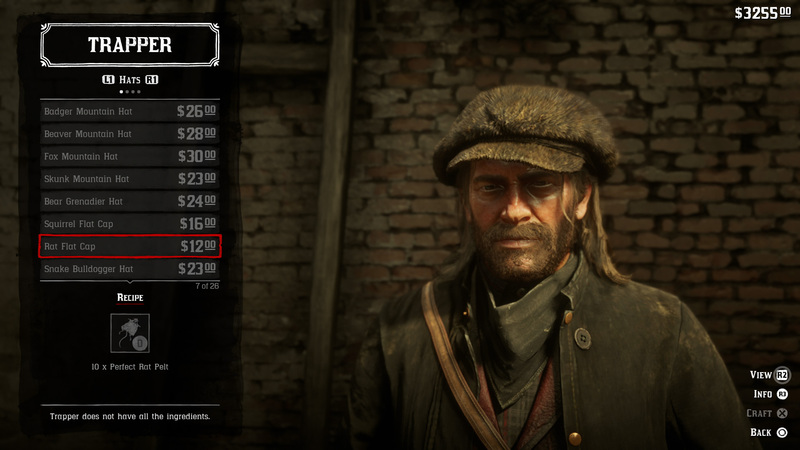 The skinned body doesn't go into your infinite inventory either; if you want to sell the meat or bring it back to camp, you have to put it on the back of your horse. The dead body of the animal you just slaughtered is just there, flopping around as you ride to your destination. It's even worse if you're very bad at hunting. Early on, I missed the kill shot on a deer, hitting it in the leg. It tried to run and I had to follow it, where I could hear it whine and watch it limp around sadly. I eventually put it down, but not before its plight tugged a bit at my emotions. I felt bad for hunting these animals. I understand that these are not real animals, mind you. Everything in fiction and entertainment is representation. The characters in a games or comics aren't real, but they look enough like real people that our minds fill in the blanks. It's why someone can put some squiggly lines on a piece of paper and you understand it's meant to be a face. It's why we empathize with characters in our games; Lara Croft, Kratos, 2B, or the cast of Persona, aren't real, but they're representations that remind us of reality. People unabashedly love or hate certain characters. Hell, they're even attracted or repulsed by them. Look, you can make this hideous hat! The construction is fake, but the feelings it engenders are real. None of these animals are real, but Rockstar has made them close enough to real that the effect is the same. One interesting side effect of Red Dead Redemption 2's lean into hunting realism is it's inspired me to only hunt when needed. There's a lot of unique craftable gear and items that you can only get through hunting, but I've mostly avoided that. (It helps that they're hideous.) Instead, I only hunt when my camp needs food. Even that assumes there's not a body of water nearby, meaning I could fish instead of hunting. You don't prepare a fish at all, it just goes in the endless void of your satchel. 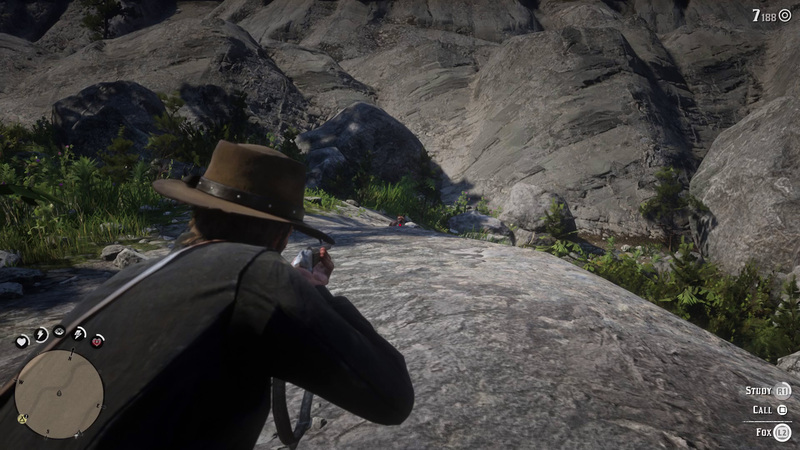 Basically, Red Dead Redemption 2's hunting is real enough that I don't feel like doing it unless it's absolutely necessary. I don't know if that was intentional on Rockstar's part. The entire game trades heavily on the idea of realism, even to its detriment in some cases; the skinning animations take forever, about as long as the act took in the first Red Dead Redemption. It's likely that hunting became more gruesome as a result. The first time I reached down to skin something in Red Dead Redemption 2, I expected what I get in other games: An animation miming the action and the resulting items being placed in my inventory like magic. In Monster Hunter: World, characters scape the body a bit and then all the shinies pop up in a list. In Rise of the Tomb Raider, Lara stabs the body briefly and an icon pops up on the side of the screen. (Contrasting the particularly graphic deaths Lara herself goes through.) The same is true of Far Cry 5. Hunting in these games is largely bloodless and quick. Does this mean that I want the act of hunting to be as in-depth as it is in Red Dead Redemption 2? Not really. It also doesn't mean that I wish RDR 2 would tone it down. This presentation works for what Red Dead Redemption 2 is trying to accomplish, a near-simulation of the late 19th century American frontier. And every game is different. I just find it interesting that Red Dead Redemption 2 chose to move further in this direction, rather than away from it. I'm sure it will absolutely turn off some folks, but I'm more intrigued with whether the potential side effects of the gruesome nature were intentional on Rockstar's part or just something the studio lucked into. Red Dead Redemption 2 is trying to be a very specific thing. I find it to be more of an experience than a game at times. The detailed hunting system and the graphic nature of skinning seems to feed into that feeling of being a frontiersman. Many of the mechanics feed into this idea of a slower, freer life, where you're carving out a living on the edges of civilization. The loss of that lifestyle is the entire thematic thrust of both Red Dead Redemption games. Red Dead Redemption 2 wants you to get down into the dirt, the mud, and the blood; that facet of America is gone for many folks, but Rockstar wants us to reconnect with it. Whether that's something you want to reconnect with is up for you to decide. Tagged with Action,	Analyses,	PlayStation 4,	Rockstar Games,	Xbox One.